British politician Mo Mowlam, whose no-nonsense negotiating as Northern Ireland secretary helped forge the province's landmark peace accord, died Friday, a family spokesman was quoted as telling Britain's Press Association news agency. She was 55. Prime Minister Tony Blair paid tribute to his former Cabinet minister, saying she had transformed the politics of Northern Ireland and played a key role in the revival of his Labour Party. "Mo was surely one of the most remarkable and colorful personalities ever to come into politics. Great company, utterly irreverent, full of life and fun," Blair said in a statement released by his Downing Street office. Mowlam was admitted to King's College Hospital in London earlier this month, reportedly after hitting her head in a fall. She was transferred last week to a hospice in Canterbury, southern England. The Press Association said Mowlam had never regained consciousness, and had suffered balance problems after receiving radiotherapy treatment for a brain tumor. 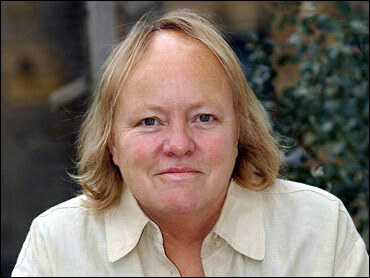 Mowlam died at 8:10 a.m. (0710GMT) at the Pilgrim's Hospice in Canterbury, family spokesman Brian Basham said. The Press Association reported that Mowlam earlier had asked not to be resuscitated, and that hospice carers later withdrew food and water. "Her family wishes to thank the many well-wishers who have sent cards, messages and flowers and to say that, although, the funeral will be a private family occasion, there will be a memorial event in a few months," Basham said. Mowlam's family requested that people not to send flowers, but instead make donations to the hospice where she died, Basham said. Mowlam was one of Britain's most popular politicians, admired by the public for her willingness to speak frankly, her bravery in fighting the brain tumor and her role in Northern Ireland's peace process. She was appointed Northern Ireland secretary soon after Prime Minister Tony Blair's Labour Party came to power in 1997, and served until 1999. A blunt-spoken former university lecturer, Marjorie Mowlam - universally known as Mo - oversaw the negotiations that led to the landmark Good Friday peace agreement and the revival of Catholic-Protestant power-sharing in the British-governed province. She was recovering from the brain tumor as she attempted to revive the peace deal. Observers of the 22 months of negotiations that led to the 1998 accord cited Mowlam's approachability as a key factor. Although some Protestant politicians objected to her informality, her tenure appeared to encourage the Irish Republican Army-tied Sinn Fein Party to participate in the peace process. A popular figure on the left of the Labour Party, Mowlam eventually fell out with Blair's centrist government. She was moved to a lower-profile position in 1999 and left politics in 2001. In a 2002 memoir, Mowlam said she quit the government and politics partly because Blair's advisers were spreading rumors that her battle with a brain tumor had left her intellectually unfit. "My health was used against me all the way through the whispering campaign," she told a Channel 4 television documentary in 2002. "They'll stop at nothing. ... (It was) vicious, violent, appalling behavior by the people that did it. Some might say that's politics. I think it's just despicable." Blair's office denied the claim. In a memoir, "Momentum," published the same year, Mowlam said the campaign against her intensified after she refused Blair's request that she run for mayor of London. She also accused Blair of being too controlling, not trusting those around him and dismissing the views of anyone who disagreed with him. "It gradually became clear to me that I was being treated as a girlie - a popular female commodity who would be useful with the voters," she wrote. Nevertheless, Blair paid a warm tribute to Mowlam after her death was announced. "She was a key architect of New Labour, but had support across the spectrum," the prime minister said. New Labour is the term used to describe the modernized Labour Party, which swept to power in 1997 after 18 years in opposition. "Of course she came into her own in respect of Northern Ireland. It is no exaggeration to say she transformed the politics not just of Northern Ireland itself, but crucially of relations between the Republic of Ireland and the United Kingdom, and it was this transformation that created the culture in which peace-making could flourish," Blair's statement said. Mowlam is survived by her husband, Jon Norton. © 2005 The Associated Press. All Rights Reserved. This material may not be published, broadcast, rewritten, or redistributed.